Sophisticated malware is increasingly targeting the endpoints that connect your environment to the rest of the world. 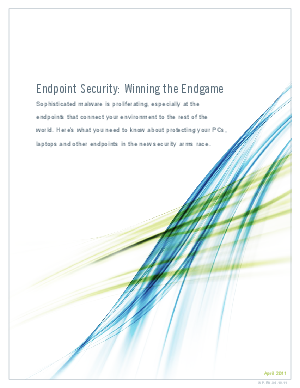 This paper delves into the latest malware trends and paths into your network and highlights what you need to know about protecting your PCs, laptops and other endpoints in the new security arms race. Learn how to effectively secure endpoints with a defense-in-depth approach that includes patch management, anti-virus, application whitelisting and device control – and learn how this can all be managed more simply within an endpoint management and security platform.